-With it's premium quality it is long lasting, strong, durable, and good looking. - Delivery from Hong Kong, delivery time 8-25 days. If you have any questions or problems, we would be happy to help. There is a choice of "contact the seller" or similar option in your order so that you can easily contact us. 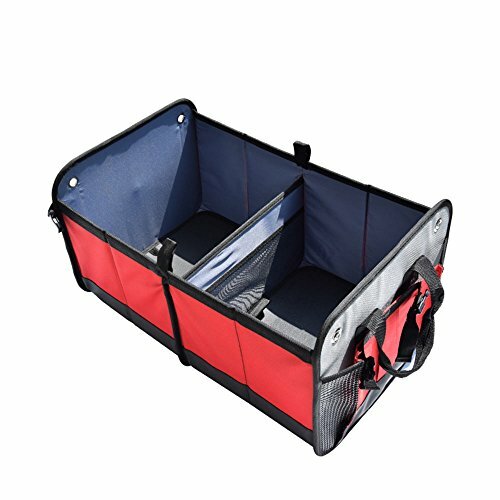 Easy to use,Bottom with anti-skid pads --prevent sliding,easy to put and easy to take with you,our Trunk Organizer is considerably sturdier than similar organizers on the market. If you have any questions about this product by MANDCG, contact us by completing and submitting the form below. If you are looking for a specif part number, please include it with your message.